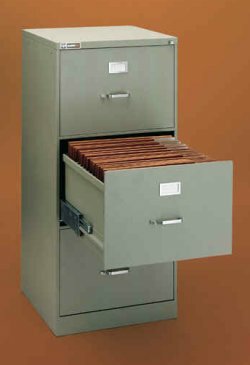 Heavy duty vertical filing for documents from 9x12 to 18x24 and smaller documents. The Drawer File offers the quality and durability needed for high capacity, heavy duty use. Holds and protects documents using a unique spring compression system and heavy duty folders - Also available without the compression/folder system for savings when possible. Heavy duty, fully progressive drawer suspensions built to carry loads up to 500 pounds without placing any stress on the finger easy glide of the drawer. An ANTI-TIP design which prevents more than one drawer from being opened at a time. Available customization can provide folders to hold. Large Filing capacity for 9"x12" to 18"x24" drawings. Customization available to house different size drawings in the same unit. Locking models available. See descriptions in price chart for built-in locks. * Drawer Files ship via freight services.